> Having lost the detailed instructions from last year’s Sur la Table cookie-decorating class, I was forced to start from scratch this year. This caused a lot of anxiety because I felt as though I didn’t have any spare time to test new recipes — and cookies are particularly nerve wracking because they not only have to taste good, they have to be sturdy enough to withstand decorating. Fortunately, I came across a great book, Cookie Craft, by Valerie Peterson & Janice Fryer, that solved most of my problems. The two recipes I tested today were gingerbread from Great Gingerbread by Sara Perry and a basic sugar cookie from Cookie Craft. The cookie the picture, in which the gingerbread is baked on top of the sugar cookie, is a good example of the ideas in Cookie Craft — very easy to do, but unusual and attractive. The gingerbread cookie recipe turns out to be absolutely stunning — a “grownups’ cookie” with loads of ginger and other spices, dark brown sugar, and heady molasses flavor. I’m less excited about the sugar cookie — the rich, buttery sugary taste is almost like a shortbread and I’m concerned that once I start applying royal icing in the decorating stage it will be overwhelmingly rich. I whipped up the gingerbread dough yesterday and the sugar cookie dough today, and was freaking out a bit because the gingerbread dough was very sticky, while the sugar cookie was stiff and rather dry, making it a challenge to roll out. That’s where the Cookie Craft advice came in handy. They favor rolling everything out on parchment paper to prevent sticking. You can even peel the extra dough away and transfer the entire sheet of cookies on parchment directly to the cookie pan, so you don’t damage the tender cookies moving them around with a spatula. I modified this by simply trimming the parchment with the cut cookie on it, using a kitchen scissors and putting each cookie (they are large ones) on the baking sheet on its own little scrap of parchment. This kept the cookie sheets clean and easy to use, and it was very easy to just peel the parchment off the back of the baked cookie when you set it on the wire rack to dry. After the cookies cooled, I stored them in layers, separated by parchment, in clear plastic salad containers I’d been saving up. 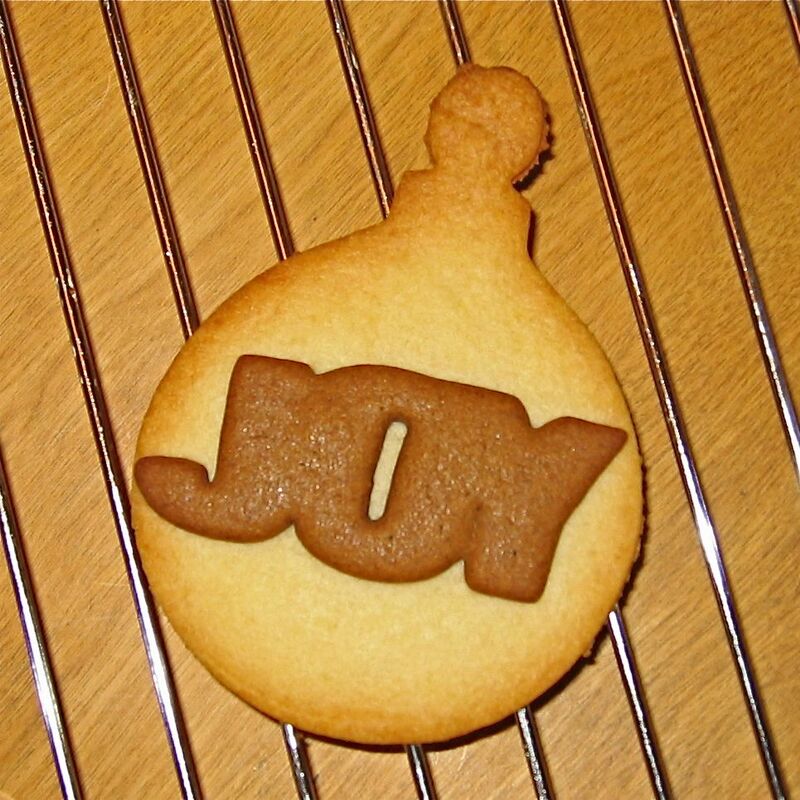 I’l be back later in the week with the full report on decorating the 100 or so cookies. Wait’ll you see the moose!